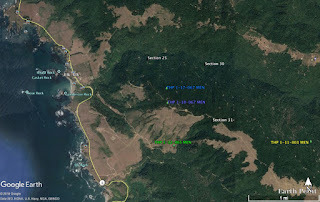 THPBlog: Mendocino Redwood Company to log on steep and unstable slopes east of Elk, CA. 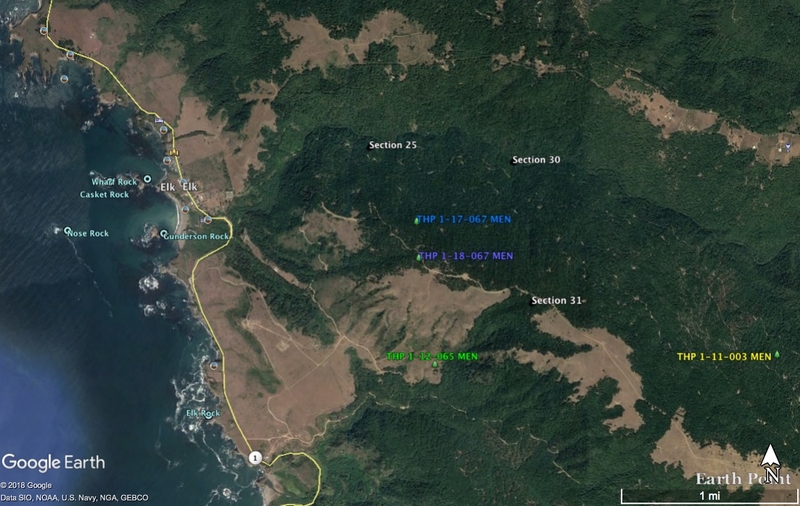 Mendocino Redwood Company to log on steep and unstable slopes east of Elk, CA. This THP is 1.2 miles east of Elk, CA and Highway 1 on the Mendocino coastline at an elevation of 120 to 1,330 feet. Mendocino Redwood Company is planning a selection tractor and cable logging operation on steep and unstable slopes in redwood and Douglas fir forests. There are 28 landslide terrain sites including multiple road related fill slope and cut slope failures, and multiple locations with debris slides, rock slides and debris flows near Greenwood Creek. Mendocino Redwood Company is planning to use ground based equipment on existing skid trails with slopes over 50% grade with a high erosion hazard in units 1 and 2, and use ground based equipment on existing skid trails with steep slopes exceeding 65% grade within the west end of unit 2. 49 road drainage sites are planned for use including rocking, dip construction, ditch cleaning, culvert repair/replacement and restoration of washed out crossings. There re two spotted owl nesting territories within .7 miles of the THP area.